Taking a walk in the beautiful Berkshire countryside can only be improved by the addition of one thing…..a Harris Hawk. 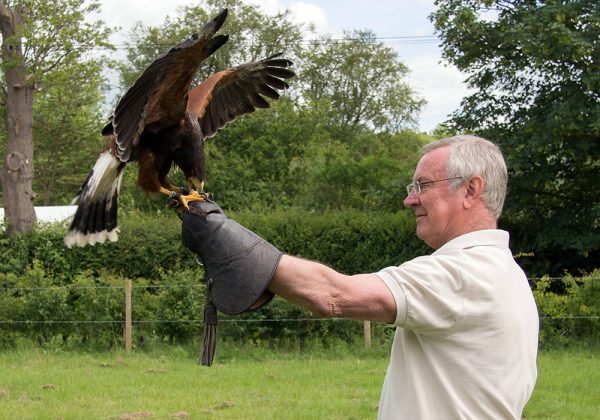 Experience the wonderful exhilaration of having a hawk stoop to your gloved fist from the top of the surrounding trees or dart powerfully over the hedges. Feathers and Fur offer you the opportunity to handle and fly the awesome Harris Hawk. Marvel as they follow on, exploring the canopy of trees and returning to you fist for morsels of feed. Please note this offer is 2 adults for £50. The under 16’s price is per child at £30 per head. 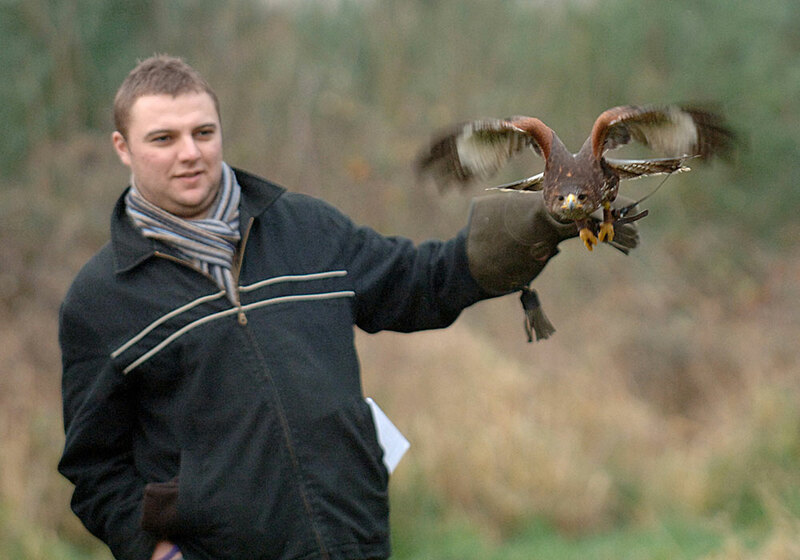 First off is a quick safety talk and you are shown how to call and hold the hawk. We then look at all the equipment the bird wears and how it is changed for flying. You are given a falconry glove to use for the duration of the walk. The bird is then released and the walk begins. The Hawk Walk uses private land, and although the field margins are managed they are only mowed a few times throughout the year. This means that the area has a wide range of wildlife and really adds to the naturalness of flying the birds. The Walks last approximately 1 hour but we are never in a hurry, the individual walks allow you to watch and enjoy the bird at your leisure. The hawk is called sporadically to your fist as it follows on, showing perfectly the natural behaviour of the Harris Hawk. Harris Hawks are perfectly photogenic and the walk is ideal for improving your photography skills with the bird landing on your fist and in the surrounding trees and on posts. 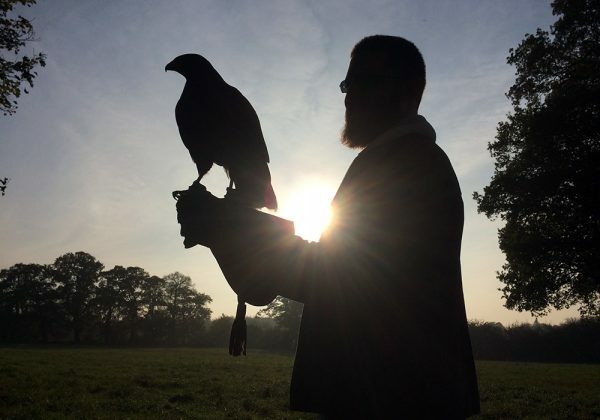 Our falconer is also very happy to take your pictures too, so you can concentrate totally on enjoying your time. 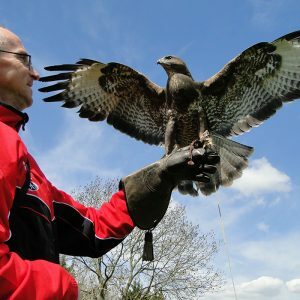 Hawk Walks are not suitable for wheelchair users however Feathers and Fur can offer tailor-made experience session at Ladd’s Garden Village for those wishing to fly these magnificent birds. Children must be accompanied by a full paying adult. 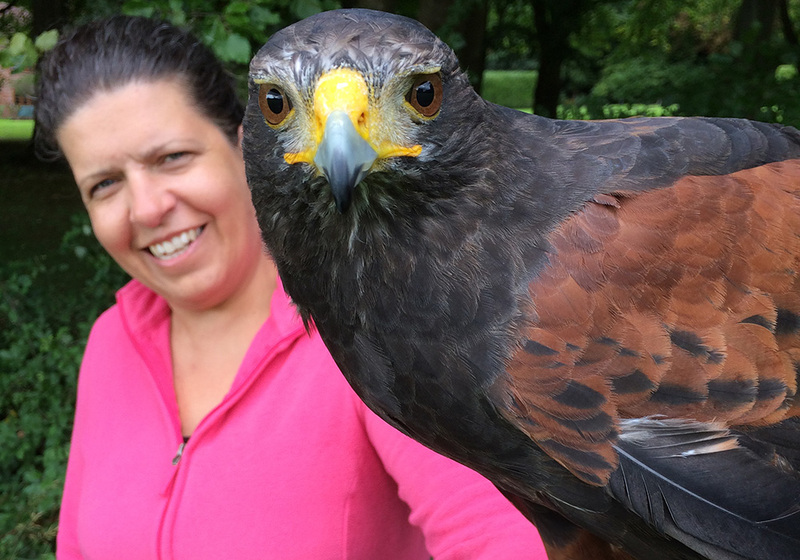 Absolutely brilliant afternoon on a Hawk Walk with Sadie and Echo. 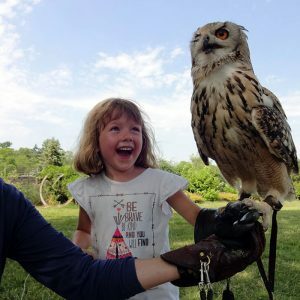 A really good experience and one I would highly recommend to anyone who wants to enjoy a natural hawk experience in a lovely setting. What an amazing experience – a birthday present voucher for a walk with a hawk- a hawk called Echo who was an absolute star performer out in the fields, we got to see him interacting with the local red kites too 🙂 Can’t thank Sadie and the team enough, I am still smiling now 🙂 🙂 … I think another visit is a must! Fantastic. 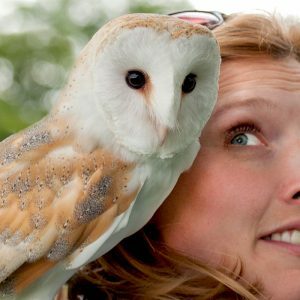 Sadie’s knowledge and enthusiasm are amazing, and this was one of the best days out EVER.